A new volume 'Baluchars: The Woven Narrative Silks of Bengal' explores the rich cultural threads that go into the making of the famed Baluchar. 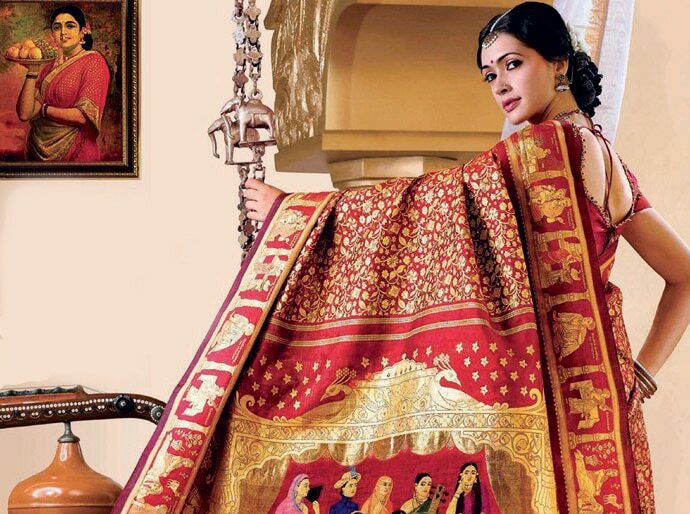 The Baluchar is famous as one of India's most beautiful sarees, its intricate craft and history interwoven into its stunning folds. 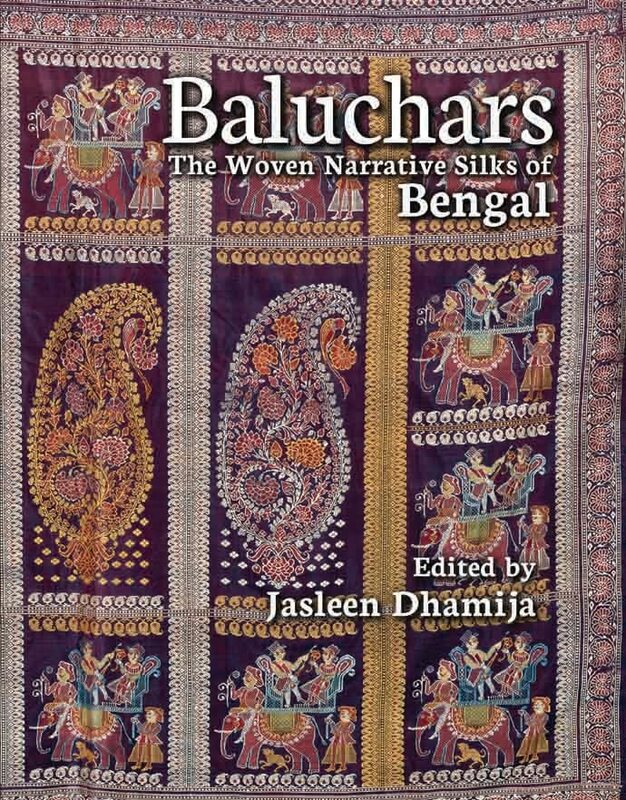 In an extensive volume titled Baluchars: The Woven Narrative Silks of Bengal (Niyogi Books), edited by Jasleen Dhamija here presents an edited collection of essays on this silken piece of Indian heritage. We present an excerpt from the chapter named 'The Evolving Contemporary' by Ritu Sethi. Given the huge diversity of current practice and increased scales of operation in which current textile history is being written, several questions and some concerns arise. 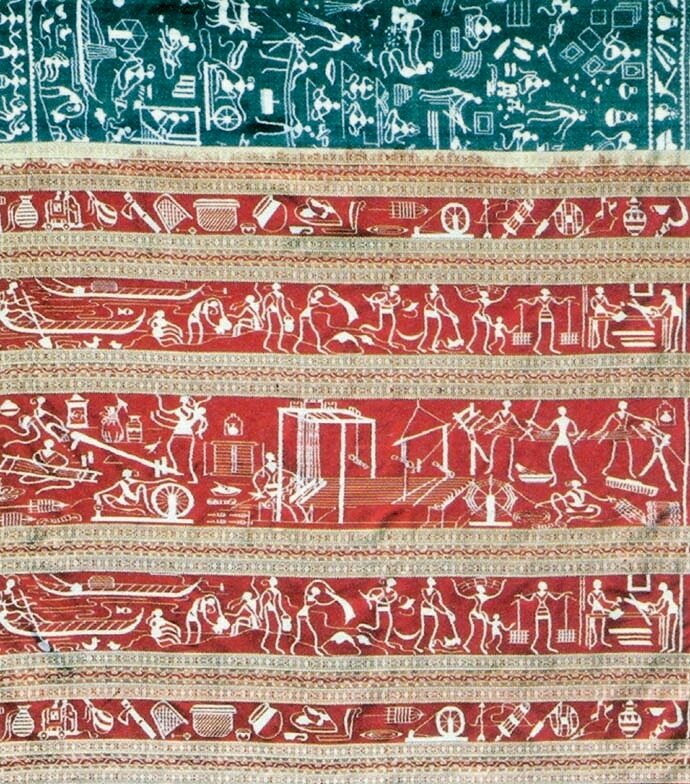 More than a century after Dubraj Das' passing, this iconic textile is now ruled by an agreement on the trade-related aspects of Intellectual Property Rights – the Geographic Indications Act (GI) with a GI having been granted to this weave in 2009. The question that arises here is that while Baluchar as a place doesn’t exist anymore, having disappeared in the sand, and the naksha technique no longer practised, can the GI definition be applied to the weaving in Bishnupur? Further, as the GI is technically defined by exact longitudes and latitudes and as per the registration, any weaver located outside this magic circle cannot claim that their product is a Baluchar. If they do so they are punishable as the production, sale and promotion by anyone other than the producers who work within the certified area falls outside the law. Ustad Ali Hasan, also known as Kalloo Hafiz, who was instrumental in reviving the Baluchar weave and whose descendants are the keepers of the flame are located in Benares in Uttar Pradesh, far removed from the GI demarcated area. Ironically they continue to weave the Baluchar using the naksha as in the original tradition, unlike the jacquard-card system prevalent in the GI demarcated area. The question here is – can the weavers of the Nakshabanda Baluchars of Benares who revived an extinct tradition legally call their saris Baluchar, or are they liable for prosecution? In the past, as now, knowledge was not culturally isolated and textile practitioners absorbed and synthesised influences to create products for changing clienteles and mutable times. Visual vocabularies were constantly renewed, experimented with and evolved through interactions with their environment, with trade, patterns of usage as well as the historical circumstances in which the producers were placed. However, the relentless pace and scale of change that we are witnessing have never been experienced in centuries past. In India the internet footprint is expected to cover 90% of the country within this decade, providing access to information and data, not least being images, from across the world. Feeding a seemingly huge appetite for the new, the immediate and au currant. This is apparent even from the limited examples presented here and it can be safely inferred that this stimulus will have a profound disrupting influence on the slow production techniques of handmade textiles. These stimulating and disruptive times are creating opportunities, including the breaking down of previously closed trade barriers, to extend textile conversations beyond traders and designers, by reaching out directly to the users. Yet on the flip side instances of ‘borrowings’ and copying are increasing, evoking furore among the original community of makers, the fashion media and the public at large. A case in point is the Ajrak block-print that was digitally reproduced on a men’s jacket with a human skull replacing the floral motif of a traditional design. A more recent example is a Yoga print dress that featured on the front cover of Elle magazine creating a similar controversy. Paradoxically in the very speed and access that we laud in the digital lies the inherent threat of creative destruction. These are the challenging concerns of our times. As in the past, historically interesting textiles served as conduits of information not just on the technical wizardry of their makers, their cultural and visual connections, but equally their customary usage. What will future textile historians make of the figurative textiles of our times? Only time will tell how they stand the scrutiny of the age that is to come.